Frank Morgan On Piano Jazz Saxophonist Frank Morgan led a life compelling enough for the big screen. A protege of Charlie Parker, Morgan took a dark turn that led to drugs, prison and, ultimately, redemption through music. Frank Morgan on the cover of City Nights. Alto saxophonist Frank Morgan brings his sweet and soulful tone to a quartet setting with host Marian McPartland, bassist Gary Mazzaroppi and drummer Glenn Davis on this episode of Piano Jazz. A protégé of Charlie Parker, Morgan took a long detour into drugs and prison. Here, he adds a page to the more cheerful second chapter in his story. His alto honks, flutters, flies and cries in tunes including "Blue Monk," "Billie's Bounce" and the ballads "In a Sentimental Mood" and "Goodbye." Frank Morgan was born in Minneapolis in 1933. His family moved to Milwaukee when he was 6 and to Los Angeles when he was 14. His father, a guitarist for the band The Ink Spots, began teaching him guitar when he was just 2 years old. When Morgan was 7, he traveled to Detroit to spend some time with his father, who was playing a gig there. The elder Morgan took his son to the Paradise Theater, where the stage show included Jay McShann's band. Morgan recalls that his life changed the moment he heard Charlie Parker take a solo during "Hootie's Blues." Morgan's dad took his son backstage to meet Parker. It was Parker who suggested that the child learn and master the clarinet before moving on to the alto sax. Parker later became a regular at the club opened in L.A. by the elder Morgan in 1947, Casablanca, and continued his interest in Frank Morgan's musical development. Parker was only one of the many bebop players that frequented the club, with Hollywood stars such as Ava Gardner, Gregory Peck and Ginger Rogers often in the house to hear this cutting-edge music. Morgan recalls Casablanca as the place where he learned that drug use was "socially acceptable" — this in spite of Charlie Parker's efforts to shield him from the seamier side of the musician's life. 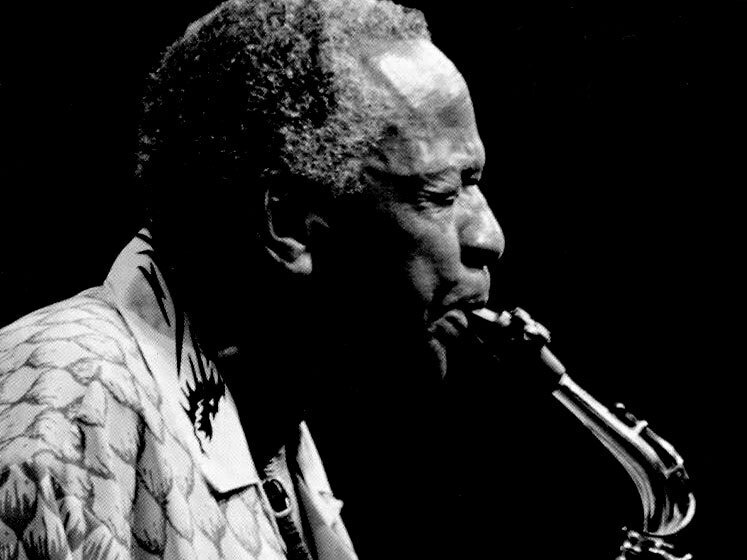 To Parker's profound disappointment, Frank Morgan saw heroin as part of what it took to "play like Charlie Parker." Morgan began using the drug when he was 17. Having won a TV talent contest at 15, Morgan eventually began playing with Lionel Hampton's band. Before his recording debut as a leader in 1955, he had played as a sideman with Kenny Clarke, Teddy Charles and Ray Charles. The album, Introducing Frank Morgan, received critical acclaim. However, heroin addiction and prison time were soon to rob Morgan of his time in the spotlight. Although he continued to play in prison, it was not until 1985 that he was once again able to take control of his life and music. Morgan made his second album, Easy Living, that year and began his career again. He has continued to record, tour and reach out to those in prison and those fighting addiction. Along the way, he received critical accolades and attention from the mainstream media, including a prime-time interview with Jane Pauley. Despite suffering a stroke in 1998, Morgan made a full recovery and returned to an active career of performing and recording. Frank Morgan died on Dec. 14, 2007, at age 73. Originally broadcast Oct. 5, 2004. Originally recorded Feb. 16, 2004. A previous Web version of this story gave an incorrect date of death for Frank Morgan. He died on Dec. 14, 2007.